A Detoxifying session in our Infrared Sauna burns up to 7 times more toxins compared to a conventional sauna. Get Healthy by Relaxing! Look Better in Minutes! Improves skin tone and reduces signs of aging by stimulating better circulation, blood flow and increased collagen production. A full 40 minute Infrared Sauna session will burn up to 600 calories! Our Infrared Sauna works with your with your body’s metabolism to spark a passive cardiovascular workout which in turn burns calories. We offer quiet, private rooms that you get to experience the best sauna results in our large sauna booths. If you don’t have time to catch up with your friend, catch up in a sauna session! 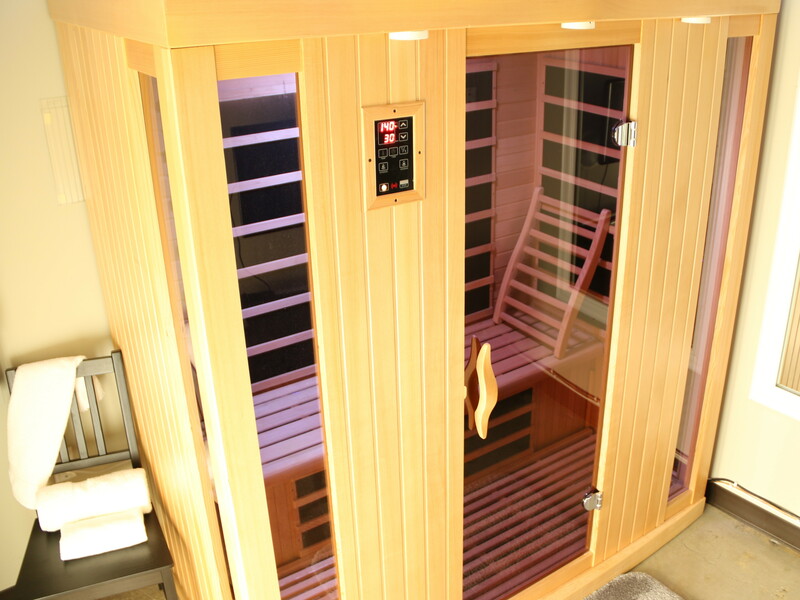 Our Infrared Sauna helps you Detoxify your body while relaxing. You can read and relax or do a light workout. We provide weights if you would like to do some light lifting. *For New Clients. We also have Specials for Returning UCATAN Clients. Call us to find out about additional deals.